Hey friends!! Happy Friday! We have had a rainy, grey-skies kinda day and we are all loving it so much! There’s something about cracking the door open and hearing the rain fall, so relaxing!! We have some fun projects to finish this weekend & are heading to the pumpkin patch with the kids on Sunday. So excited!! I wanted to share some Friday Favorites as well as a free chalkboard download for anyone who is in the Halloween decorating spirit!!! We need to put our black paper bats up asap!! THE cutest black booties for Fall & on sale for only $30! Our current favorite Halloween book, it has been on repeat with the girls every night! We tried this Butternut Squash Alfredo recipe earlier in the week, it will definitely be added to our Fall dinner rotation! I have been living in this Boo Halloween tee lately, so festive & comfy!! And tons of cute matching options for kids! 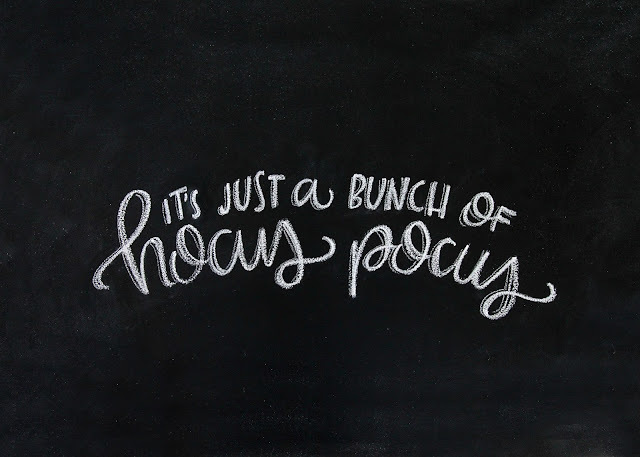 I also wanted to include this super simple Hocus Pocus chalkboard download, I plan to frame this in a small frame for our kitchen shelving and cover it in cobwebs! 😉 I hope to add a dressed up version, I am playing around with chalk shadows & may add another version to the shop next week! And finally, who is watching this season of The Voice & This Is Us?! Fall TV is so good!! Thank you all so much for your kind words about Claire’s birthday, it was such a fun party to plan! 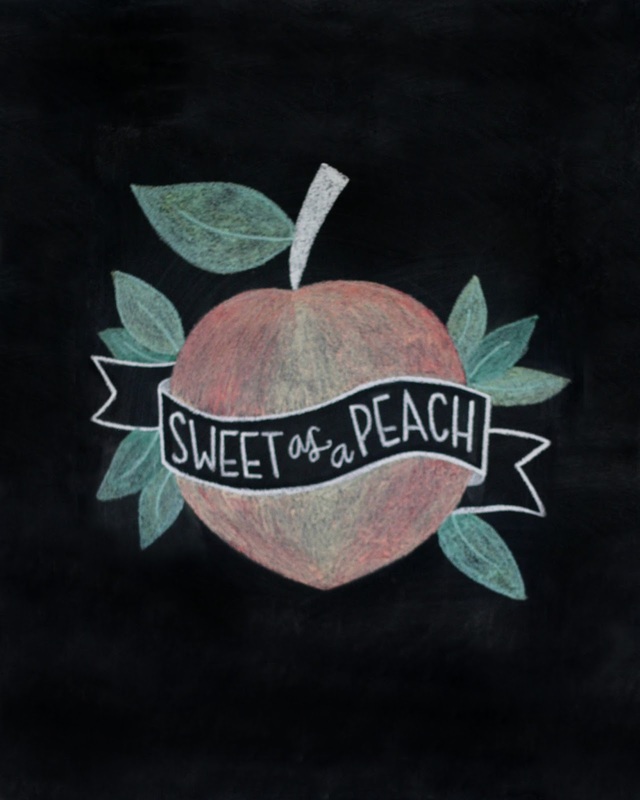 I wanted to share the chalkboard print that I made for her party, for anyone who may be planning a peach or fruity themed party in the future, or just to use a a fun, summery print to hang. This makes me want to use colored chalk more! All you have to do is open the photo full size & save it to your desktop, then you are able to upload it to a photo printer or have it printed at staples/office depot as a poster size print if you’d like! I had every intention of taking a picture of the finished product, but thought that the in progress shot was even more beautiful. The only thing missing are the girls themselves, who had run off to tickle baby Claire’s feet with garland trimmings. Holidays are just so magical with kids, I can’t get enough! We will be kicking off the launch of our collaboration with a little holiday mix & mingle at Sugarboo at The Collection, this Friday night from 6:30-8:30, so if you’re local, please join us! Thank you so very much for the continued support of my blog & art, I am so incredibly thankful for you all! !